Richard M. Clark, Administrative Law Judge (ALJ), Office of Administrative Hearings, Special Education Division (OAH), State of California, heard this matter from April 9 to 11, 2007, in Elk Grove, California. Attorneys Margaret Broussard and Annie Cox represented Student. Student’s mother (Mother) and father (Father) were present during the hearing. Attorney Van Vu represented Elk Grove Unified School District (District). Kevin Schaefer, program specialist for the District, was present at the hearing. Student filed his request for a due process hearing on October 18, 2006. The matter was continued on November 27, 2006, December 27, 2006, and January 3, 2007. On January 17, 2007, the dates for hearing were set. Oral and documentary evidence were received during the hearing. The record remained open for the submission of written closing arguments by April 19, 2007, when the record was closed and the matter was submitted for decision. 1. Did the District deny Student a free appropriate public education (FAPE) from October 18, 2004, to March 2006 by failing to assess him after Parents made a request for assessment on September 24, 2004? 2. Did the District deny Student a FAPE by failing to initiate an assessment within the statutory time frame after the parental request for assessment in March 2006? 3. Is Student entitled to reimbursement for the cost of an independent educational evaluation (IEE) conducted by Dr. Maria Moleski in summer 2006? 4. Is the parent entitled to reimbursement for the cost of an independent occupational therapy (OT) evaluation, which has not yet been completed? 5. Did the District deny Student a FAPE from October 18, 2004, through October 18, 2006, by failing to make Student eligible for special education placement and services based on a specific learning disability (SLD), other health impaired (OHI)/attention deficit hyperactivity disorder (ADHD), or speech and language (SL) impaired, and by failing to provide Student with an individual education program (IEP) with appropriate levels of placement and services to meet his unique needs? Student seeks: reimbursement for Dr. Moleski’s IEE; compensatory education at Lindamood-Bell; an order making Student eligible for special education services and an educational program, placement and services designed to meet his unique needs; and reimbursement for the costs of an independent OT evaluation or, in the alternative, an independent OT assessment and compensatory OT services. Student contends that the District failed to assess his eligibility for special education services in September 2004 after Parents requested an assessment in writing. Student further contends that the District failed to assess his special education eligibility within the statutory time frame after Student requested an assessment in March 2006. Student contends that the evidence shows that he is eligible and has been eligible for special education services in the areas of SLD, OHI and SL impaired since September 2004, and that the District denied him a FAPE by failing to find him eligible and make services available to him. Accordingly, Student contends he is entitled to reimbursement for the costs of an IEE by Dr. Moleski in summer 2006 and an OT assessment that has not yet been conducted. Student seeks a finding of eligibility for special education services, reimbursement for independent assessment expenses paid for by the family, and compensatory education. 1 For clarity of decision writing, the issues have been reordered and combined by the ALJ but are the same issues that were determined for the hearing. 4 Dr. Maria Moleski and Paul Teuber, who presented the testing results for Ms. Thomas at the IEP meeting, both agreed that the WISC-IV report listed the perceptual reasoning score as a 96, but it should have been a 98. Dr. Moleski could not be certain if the error was a result of computing the subtest scores incorrectly or if it was some other error. 5 Ms. Thomas reported the following scaled scores on the WISC-IV subtests, which were all in the average range: similarities, 9; vocabulary, 9; comprehension, 11; letter-number sequence, 9; digit span, 7; arithmetic, 7; block design, 8; picture concepts, 11; matrix reasoning, 10; coding, 9; and symbol search, 10. 6 On the TVPS, Student received the following scaled scores: visual discrimination, 11; visual memory, 7; visual spatial relationships, 4; visual form constancy, 5; visual sequential memory, 5; visual figure ground, 13; and visual closure, 11. 7 The 2005 year listed in the report is a typographical error. 8 Ms. Burke also reported standard scores using grade based profiles. Student’s total achievement standard score was 85, with broad reading, 75, broad math, 100, and broad written language, 84. 9 Student received the following subtest scores on the WASI: for verbal subtests, vocabulary was a 4 and similarities was a 10; for performance subtests, block design was a 9 and matrix reasoning was a 10. 10 As part of the Never Streaming program, in January 2006, Student was scheduled to receive SL one to two times per week for 30 minutes each session. In January 2007, Student was scheduled for SL services one time per week for 30 minutes. The testimony established that Student received SL sporadically, and had only received SL services three times since October 2006. 11 On January 18, 2007, Student’s second grade progress report reflected that he was reading at 28 words per minute, and working below grade level in reading, writing and spelling. On March 1, 2007, Ms. Cooper sent an email update stating that Student had completed math chapters 3 through 6 with test scores between 63 and 86 percent. His reading fluency was at 28 words per minute and he recognized 86 out of 96 sight words. He also averaged 8 out of 10 on weekly spelling tests. 14 There are exceptions noted in the statute, but they are not applicable to this matter. The District contends that Student is not eligible for special education services under any category of eligibility. The District further contends that it acted appropriately in response to Parents’ requests for special education assessments and within the appropriate statutory time frames. The District also contends that Student did not ask for an IEE and that it properly assessed Student’s OT needs, so he is therefore, not entitled to reimbursement for those expenses. The District also contends that it provided remedial educational services to Student as part of its Neverstreaming Program in spite of his lack of special education eligibility. 1. Student is seven years old and resides in the District with his family where he attends the second grade at Florence Markhofer Elementary School (Markhofer). His date of birth is October 5, 1999. The parties stipulated that Student was four years, nine months old, when he began attending kindergarten at Markhofer during the 2004-2005 school year. Student has not been determined eligible for special education services. 2. All referrals for special education and related services shall initiate the assessment process and shall be documented. The District must deliver an assessment plan to Parents within 15 days of the assessment request. An IEP meeting must occur within 50 days of the receipt of parental consent for the assessment.2 Student contends that the District failed to assess him after Parents requested a special education assessment in writing on September 20, 2004. 3. On September 20, 2004, Parents delivered a formal written request for special education assessment to the District. The request stated that they “request an assessment and evaluation for special education services” by the District for Student, who was in kindergarten at Markhofer. The District never provided an assessment plan and did not assess Student. 4. Eric Murchison is the principal at Markhofer. According to Mr. Murchison, an assessment request does not always result in an assessment. The Learning Center gathers information about the student and makes a determination regarding the assessment request which may result in modifications to a student’s program without a special education assessment. When Parents requested an assessment for Student, the District convened a Student Study Team (SST) to discuss the request, but Student was not assessed for special education and no assessment plan was developed. The SST discussed the request, listened to the Parent and teacher concerns, and decided upon a course of action. Michelle Burke, the resource teacher in the Learning Center, was going to provide Mother with the materials and curriculum for Handwriting Without Tears so Mother could work with Student at home, but Mother had to purchase the program herself. For purposes of the SST, Cynthia Jenkins-McGowan gave Student a standardized test known as the Test of Minimal Articulation Competence (T-MAC) which assessed his language needs. She did not have parental consent. 5. Parents made a request for special education assessment in writing. The District was under an obligation to assess Student, but the District did not develop an assessment plan and did not assess Student for special education services until 2006. 6. Student contends that the District did not assess him within the statutory time frame when Mother verbally requested an assessment for special education services in March 2006. 7. Mother met with Mrs. Chang, who was Student’s first grade teacher in January 2006. Mrs. Chang was concerned about Student’s reading, writing, and articulation. Mrs. Chang worked with Student daily one-to-one on handwriting and decoding, but Student remained below grade level and was at risk for retention.3 Mrs. Chang suggested that Student be screened at the Learning Center for possible services and Mother agreed. Mother never saw or heard about the screening results, but Student began receiving services through the Learning Center. Mother was never informed how often and what services were provided to Student through the Learning Center. 8. Based upon conversations with Mother and Mrs. Chang, Ms. Burke assessed Student in February 2006 using the Wide Range Achievement Test Revised 3 (WRAT) but she did so without parental consent and without an assessment plan. Ms. Burke was unaware that standardized testing required parental consent, but she knows now that it is required. Student tested in the average range on the WRAT, which tests spelling, reading, and math. Ms. Burke developed a “Grid of 9” for Student, which is a document that helps general education teachers modify curriculum and provides strategies to assist students in class. In March 2006, after receiving the Grid of 9 from Ms. Burke, Mother verbally requested a special education assessment for Student. 9. In March 2006, the SST met and determined that a special education assessment was not warranted because of Student’s age, discussions with his teachers, and his lack of educational history at that time. The SST thought Student needed more time to develop because he was a young student. On March 15, 2006, Ms. Burke drafted a Notice of Action (NOA), which was signed by Mr. Murchison, refusing to assess Student for special education services and listed as reasons for the refusal Student’s “steady progress on classroom assessments and scores within the average range on the WRAT.” The NOA also stated that further testing was not warranted based upon a systematic review of records, Student’s portfolio, a teacher interview, SST notes from September 2004, and an academic screening. The SST denied the assessment request and wanted to wait until the Grid of 9 was given an opportunity to work. 10. On April 10, 2006, following receipt of the District’s March 15, 2006 NOA, Parents again requested in writing that the District “perform standardized norm based testing in all areas or [ sic ] suspected disability.” On April 19, 2006, Mother signed a written request for special education assessment on a District provided form. After requesting information about Student, the form states “I hereby request a special education assessment,” followed by Mother’s signature. Mother had to call the District’s main office to get the assessment process started because Mr. Murchison refused to do the assessment. The District ultimately conducted assessments of Student in May and June 2006. An IEP meeting was scheduled for June 15 but rescheduled and held on June 29, 2006. 11. The District was required to provide an assessment plan within 15 days for the request for a special education assessment, but the District did not do so. Ultimately, the District assessed Student based upon an April 19, 2006 assessment plan which was within the statutory time frame but did not begin the assessment process within 15 days of the initial request for evaluation. 12. A Student is eligible for special education under the category of specific learning disability (SLD) when: 1) the student has a disorder in one or more of the basic psychological processes involved in understanding or using language, spoken or written, which may manifest itself in an impaired ability to speak, listen, think, write, spell or do mathematical calculations and 2) based on a comparison of “a systematic assessment of intellectual functioning” and “standardized achievement test,” has a severe discrepancy between intellectual ability and achievement. Basic psychological processes include attention, visual processing, auditory processing, sensory-motor skills, and cognitive abilities of association, conceptualization and expression. 13. On May 5, 2006, District school psychologist Marnie Thomas issued a psychoeducational report of Student. Ms. Thomas administered the Wechsler Intelligence Scale for Children-Fourth Edition (WISC-IV) which is a standardized test used to evaluate a child’s current intellectual ability and to sample skills useful for classroom learning. The WISC-IV determined Student’s overall performance to be in the average range. Student received the following standard scores on the WISC-IV: verbal comprehension, 98; perceptual reasoning, 964 ; working memory, 88; processing speed, 97; and full scale, 94.5 Student had strengths in common sense social judgment, visual reasoning, and visual-motor speed. He had relative weaknesses in the area of short-term auditory memory, math computation without use of a pen and pencil, and perceiving the patterns on the block design subtest. 14. Ms. Thomas also administered the Developmental Test of Visual-Motor Integration (VMI), which is a paper and pencil test used to assess the ability to see and copy accurately, and the Test of Visual-Perceptual Skills-Revised (TVPS), which measures visual perception skills without a motor component. On the VMI, Student received a standard score of 81, with an age equivalent of five years, two months, which demonstrated below average ability. On the TVPS, he received a visual perception quotient of 86, which demonstrated an overall performance in the low average range.6 Ms. Thomas reported that Student had mild difficulty with visual perception. Overall, Ms. Thomas reported Student’s functioning in the average range of cognitive ability and his visual-motor integration skills and his visual perceptual skills in the low average range. 15. Michelle Burke administered the Woodcock Johnson III Tests of Achievement (WJ-III) with a reported testing date of May 1, 2006.7 However, her written report reflected testing on May 1 and 2, and June 5 and 7, 2006. Burke used age based profiles and reported Student’s total achievement standard score as 98, with standard scores on broad reading, 90; broad math, 113; and broad written language, 99.8 Student received the following standard scores on the WJ-III subtests: math calculation skills, 116; written expression, 91; academic skills, 110; academic fluency, 81; and academic applications, 94. On the subtests, Student received the following raw scores: letter-word identification, 24; reading fluency, 0; calculation, 9; math fluency, 17; spelling, 17; writing fluency, 0; passage comprehension, 6; applied problems, 23; and writing samples, 6-A. Ms. Burke reported Student’s academic skills and his ability in the average range when compared to others at his age level. His fluency on academic tasks was reported as low average, his performance was high average in math and math calculation, and average in reading, written language, and written expression. Ms. Burke also administered the Phonological Awareness Test (PAT), and reported Student’s scores in the average range demonstrating Student has the phonological foundation for reading. Student had skills commensurate with his age, but he was one of the youngest students in his class and was considered young for his grade level. 16. At the June 29, 2006 IEP meeting, the team reviewed Student’s assessments, considered the concerns of Parents, teachers, and Student’s educational history. The District tested Student’s ability at a 94 and his achievement score at a 98 using age based norms and an 85 using grade based norms. The District determined that Student did not have a severe discrepancy between ability and achievement and found him ineligible for special education as SLD. 18. Parents obtained a private psychological and neuropsychological evaluation of Student from Dr. Maria Moleski, who prepared a report of her assessment dated September 15, 2006. Dr. Moleski is a licensed psychologist, a child and adolescent neuropsychologist, a licensed educational psychologist, and a certified school psychologist. She met with Parents on July 18 and evaluated Student on August 17 and 22, 2006. Dr. Moleski observed Student to have issues with impulsivity and attention, which might have affected his performance on some tests, but overall Student was cooperative and the evaluation was a reliable and valid estimate of his current functioning. 19. Dr. Moleski administered the Wechsler Abbreviated Intelligence Scale (WASI). She would have preferred to have given Student the WISC-IV but could not because the District had recently given it. The WASI consisted of a Verbal Scale and a Performance Scale. The Verbal Scale measured language expression, comprehension, listening, and the ability to apply these skills to problem solving. The Performance Scale assessed nonverbal problem solving, perceptual organization, and visual-motor proficiency. Student demonstrated a Verbal IQ of 85, which was significantly lower than his Performance IQ of 97, which fell in the average range. Dr. Moleski believed the Performance IQ was the best measure of Student’s intellectual ability because the Verbal IQ subtest took into account areas that were suspected weaknesses for Student.9 She did not compute the Full Scale IQ because of a low score on the vocabulary subtest which affected the composite scores. The low score and Student’s expressive language disorder would have unfairly included Student’s area of disability in the score and would not have measured his potential ability, which is what the test is designed to do. 20. Dr. Moleski also administered the WJ-III to Student with the following standard scores: letter-word identification, 87; reading fluency, 77; passage comprehension, 69; calculation, 103; math fluency, 89; applied problems, 105; spelling, 89; writing fluency, 0 (raw score); and writing samples, 93. She did not compute the broad range scores because the individual subtests more accurately depict Student’s abilities and deficits rather than broad scores, which are a statistical average of the subtest scores. Overall, she rated Student’s intellectual ability in the average range, with weaknesses noted in attention and language processing. Dr. Moleski determined that Student had an expressive language disorder because his performance was three to four standard deviations lower than his nonverbal ability level in the areas of morphosyntax, expressive vocabulary, and fluency. 21. Dr. Moleski also administered the Gray Oral Reading Test (GORT-4), which is a test of oral reading rate and accuracy and reading comprehension. Student’s performance on subtests that measured reading fluency and reading comprehension was impaired. Student exhibited both reading fluency and language processing weaknesses. Student received a scaled/standard oral reading quotient of 70 on the GORT-4. 22. Dr. Moleski also administered the Comprehensive Assessment of Spoken Language (CASL), which measures components of language processing, including auditory processing receptive language comprehension, language ability and fluency. Language processing was listed as an area of weakness for Student as measured on the CASL, where his core language composite was significantly lower than his nonverbal ability level and articulation problems were noted. 23. Dr. Moleski found Student to have deficits in the basic psychological processes of attention and executive function deficits, as measured by the Test of Everyday Attention for Children (TEA-Ch), as well as verbal memory and auditory and oral comprehension problems. On standardized attention testing, Student presented with significant attention problems and his performance ranged from very low to low average range. He had great difficulty in sustaining attention over time and engaging in tests of divided attention. He scored best on tests that measured selective attention where he scored in the low average range. 24. Dr. Moleski determined that a severe discrepancy existed between Student’s WASI Performance IQ of 97, which was within the standard error of measurement of the District’s WISC-IV 94 score, and his achievement on the passage comprehension subtest on the WJ-III, which was 69. A severe discrepancy also existed between the GORT-4 ability score of 70 and the Performance IQ. Dr. Moleski determined that Student may qualify for special education services as learning disabled, language impaired, and other health impaired and she diagnosed him on Axis I of the DSM-IV with Attention Deficit Hyperactivity Disorder (ADHD) combined type, expressive language disorder and a reading disorder. Dr. Moleski believed Student qualified for special education because of a SLD, though she could not say it was present in September 2004 because Student would have needed to learn letters before a learning disability could be evaluated. Parents paid $2850 to Dr. Moleski for her report. 25. Dr. Moleski was critical of the District’s reliance on its WJ-III scores, which she stated were invalid. Student received two scores of zero on fluency which should have been a “red flag” requiring further assessments or instruments. The computer will not score zeros, but required human intervention in the scoring process, and it did not appear that Ms. Burke computed the reading or writing fluency scores into the broad scores, which are a statistical average of different subtests. Had she done so, the broad scores would have been much lower. Ms. Burke also confused the WJ-III with the WJ-Revised, which are two different tests and should not be used interchangeably. According to Dr. Moleski, when dealing with a student who is much younger or much older than his classmates, grade based norms should be used. The test developers offer grade and age based norms for precisely that reason. Further, the zero scores should have indicated use of the grade based norms and the WJ-III is less appropriate for younger students. Further, it was Dr. Moleski’s opinion that administering the test in four sessions over five weeks invalidated the results. The WJ-III is normed to the month and it was her opinion if the testing went beyond one week, the test should start over. It was Dr. Moleski’s opinion that the District’s WJ-III scores were invalid and should not be considered. 26. District psychologist Paul Teuber took exception to Dr. Moleski’s report. He had never administered the WASI, but believed that it was not a stand alone test and should be used with another testing instrument. He presumed that the scoring would be similar to the WISC-IV since they are both from the Wechsler family of tests. Mr. Teuber found it unusual that Student scored a 4 on the vocabulary subtest of the WASI but a 9 on the WISC-IV vocabulary subtest just a couple months before. Mr. Teuber also testified that Ms. Burke’s WJ-III scores should not be invalidated because the norms would only be off by one month, which would only have created a one to two point discrepancy in the scores. Further, Mr. Teuber disputed Dr. Moleski’s finding of ADHD because of the DSM-IV requirement that the impairment be observed in two or more settings over a six month period. There was no indication that Student displayed attention issues in the school environment. 27. To the extent that there is a conflict in the testimony of Dr. Moleski and Mr. Teuber, the ALJ is more persuaded by the testimony of Dr. Moleski. She was credible and candid in her testimony, and based her opinions on sound principles within her field. Further, her opinions and conclusions were supported by other evidence and testimony received in the case. Mr. Teuber was less experienced with the WASI and was less familiar with the standards and protocols of testing to the same degree and manner as Dr. Moleski. 28. Further, the ALJ is persuaded that the District’s WJ-III scores are invalid and should not be considered because of testing protocol errors listed in Factual Finding 25. The ALJ is further persuaded by the testing and testimony of Dr. Moleski who determined that a severe discrepancy existed between Student’s achievement and ability. Specifically, Dr. Moleski determined Student’s intellectual ability to be 97 as noted on the WASI, and his achievement on the WJ-III passage comprehension subtest to be 69. Further, using the GORT-4, Student’s achievement was determined to be 70. Under both achievement tests, a severe discrepancy exists. Dr. Moleski also determined that Student had a disorder in one or more of the basic psychological processes, specifically attention and cognitive abilities as related to executive functioning. Her findings were not refuted by any credible evidence or testimony. Moreover, her findings are supported and consistent with other evidence and testimony received in this matter. Student receives the Never Streaming program in the District, but without that support, Student would not be progressing in his educational program. The ALJ further finds that the discrepancy is not the result of limited school experience or poor attendance. Attendance was not an issue in the case, and Student is nearing completion of the second grade, which is his third year in school. The ALJ finds that Student has a SLD that cannot be remediated in the regular education environment. Accordingly, Student is currently eligible for special education services in the category of SLD and the evidence established that he was eligible at the June 29, 2006 IEP meeting. There is no persuasive evidence that Student was eligible or met the SLD criteria for special education services prior to that time. 29. A child may be eligible for special education services on the basis of a speech or language impairment if the child has a language disorder. A child who has an expressive or receptive language disorder, and scores at least 1.5 standard deviations below the mean, or below the seventh percentile, for his chronological age or developmental level, on two or more standardized tests, has a language disorder. Student contends that the District failed to find him eligible for special education in the category of SL impaired. 31. On April 5, 2006, Student had a private SL assessment conducted by Gwendolyn Campbell, a licensed SL pathologist, who determined that Student had a moderate to severe communication deficit related to articulation. Student was observed to be 50 percent or less intelligible to an unfamiliar listener with an unknown context. The SL pathologist recommended SL services one time per week for eight visits, an audiological evaluation, and referral to the District for a formal SL evaluation. This report was not made available to the District prior to the hearing and Ms. Campbell did not testify. 32. On May 3, 2006, The Maryjane Rees Language, Speech and Hearing Center at California State University, Sacramento, prepared a diagnostic report on Student. Student was administered the Comprehensive Test of Phonological Processing (CTOPP), which measures phonological awareness and memory, and rapid naming. Student scored in the average range on most subtests, but below average on the Sound Matching and Memory for Digits subtests. Overall, the report determined that Student had phonological processing deficits that were contributing to his reading difficulties. The formal Photo Articulation Test, Third Edition (PAT-3) tested Student’s articulation and determined that Student was in the less than the first percentile for others in his age range. This report was not made available to the District prior to the hearing and no one from Maryjane Rees testified at hearing. 33. Student also called Elise Haugh as a witness. 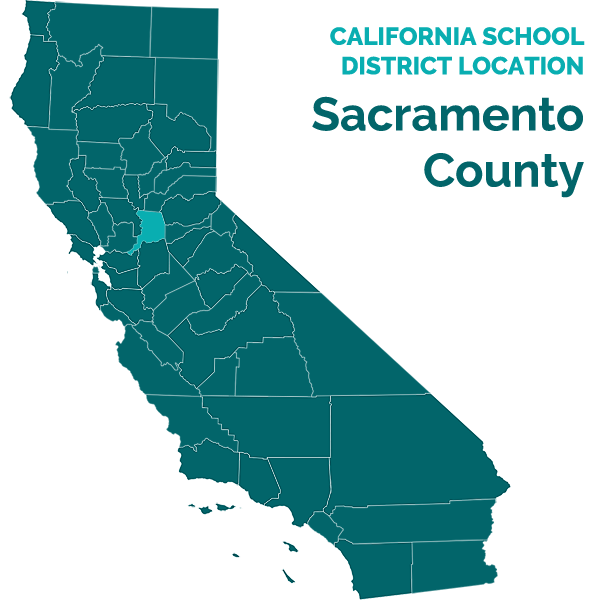 Ms. Haugh is a special education coordinator for Roseville Joint Union High School District and is a speech pathologist in private practice but does not have any current clients. It was Ms. Haugh’s opinion that articulation deficits require SL services, but she had never met or assessed Student. SL services assist students with reading, phonemic skills and decoding skills. Based upon her evaluation of Ms. Jenkins-McGowan’s SL evaluation, Student needed SL services and an intensive reading program such as offered by LMB. 34. As stated in Factual Findings 20 to 23, Dr. Moleski determined Student to have a SL impairment that qualified him for special education services. However, Dr. Moleski’s opinion in this matter was less persuasive. Student has articulation deficits and an expressive language disorder, but the evidence did not establish that Student’s language deficits adversely affected his educational performance in school. Similarly, the testimony of Ms. Haugh was not persuasive as she had not assessed Student and offered only generally that Student could benefit from SL services. At the June IEP meeting, Mother agreed that Student was making progress on his articulation deficits. Further, the testing by Ms. Jenkins-McGowan established that Student was performing within the average range and within one standard deviation of average. Articulation remains an area of concern, but the articulation deficits are not sufficient to warrant a finding that Student qualifies for special education under the criteria for SL impaired. Accordingly, Student is not eligible for special education under the category of SL impaired. 35. A student is eligible for special education under the category of OHI when his strength, vitality and alertness, including heightened alertness to environmental stimuli, results in limited alertness with respect to the educational environment that is due to chronic or acute problems such as attention deficit disorder or ADHD and adversely affects a child’s educational performance. Student contends that the District failed to find him eligible for special education services in the category of OHI as a student with ADHD. 36. Paul Teuber was the school psychologist who presented Ms. Thomas’s assessment at the June 2006 IEP meeting which was the common practice between Mr. Teuber and Ms. Thomas: she would prepare the assessment and he would present it at the IEP meetings after discussing the assessment with her. The District did not assess ADHD because it was not an area of suspected disability. There was no testimony from any teacher or other District personnel that Student’s attention was affecting his ability to perform in the classroom. Mother also did not list attention as an area of concern on the supplemental questionnaire she filled out for the April 2006 assessment. The evidence established that Student was a good student and worked hard in class. 37. Dr. Moleski determined that Student had ADHD according to her assessment and that he had attention issues noted during her testing. However, Dr. Moleski had Mother complete the Child Behavior Checklist and the Disruptive Behavior Rating Scale, which rate a child’s behavioral and emotional disorder and evaluate the symptoms of ADHD respectively, and there were no elevated scores. There was insufficient evidence that Student had attention issues in the school setting that would warrant OHI eligibility. Accordingly, Student is not eligible for special education under the category of OHI. 38. Student contends that the District should fund an independent OT assessment. 39. In April 2006, Mother requested an OT assessment for Student because he was having issues with handwriting. Mother had been working on handwriting with Student since kindergarten. Mother discussed the need for an OT evaluation at the June IEP meeting. 40. Mrs. Burke told Mother that the school psychologist would complete a screening and, if appropriate, refer Student for an OT evaluation. According to Mr. Teuber, an OT evaluation is never part of an initial assessment. However, according to Kevin Schaefer, a program specialist with the District, an OT evaluation can be part of an initial evaluation. Ms. Thomas assessed Student’s fine motor skills using the TVPS and the VMI as part of her psychological assessment. Student scored in the low average range on both tests. 41. Dr. Moleski assessed Student’s visuospatial and visuoperceptual processing using the Block Design and Matrix Reasoning subtests on the WASI, as well as the Design Copying Arrows subtests on the Developmental Neuropsychological Assessment (NEPSY). Both the WASI and the NEPSY showed Student to be in the average range and Dr. Moleski labeled this an area of strength. Dr. Moleski also evaluated Student’s motor functioning using the NEPSY. She concluded his performance was strong and commensurate with his ability levels. 42. The District considered Student’s OT needs in the assessment of Ms. Thomas, who found Student to have low average abilities. There was insufficient evidence to establish that any additional OT assessment is warranted in light of the testimony and evidence in this case. Accordingly, Student’s request for an independent OT evaluation or reimbursement for an OT evaluation is not warranted. 43. On March 22, 2007, Parents obtained an assessment from Lindamood-Bell (LMB) to determine if Student’s academic deficits could be remediated in its program. Parents paid $425 for the evaluation. Emily Jane, the Associate Director for LMB in Sacramento, explained that LMB is a certified non-public agency that works with children and adults who have learning difficulties or disabilities, and uses research based programs to help remediate those deficits. Ms. Jayne’s job responsibilities include interpreting assessment data and determining if individuals would benefit from the LMB program. The LMB staff conducted a pre-test on Student using portions of standardized testing. The results show that Student had significant deficits in reading rate, accuracy, fluency and comprehension as measured on the GORT-4. Student also had deficits in symbol imagery as measured on the test of Symbol Imagery and informal writing tests demonstrated deficits in symbols to sound and nonsense spelling. These are the types of deficits that LMB could help remediate and Student would benefit from the program. According to Ms. Jayne, over 75 percent of LMB students reach grade level or within one year of grade level from the program, but acknowledged that there was no guarantee. Ms. Jayne recommended that Student receive intensive sensory-cognitive instruction in the LMB Seeing Stars program and Visualizing and Verbalizing program, both of which provide instruction in reading fluency, sight words, decoding, symbol imagery, and phonemic awareness. She recommended that Student receive 160 to 240 hours for four hours per day, five days per week. The sessions could occur on a school day or over the summer, but should be at least four hours per day. 45. Student remains significantly below grade level even with the assistance of the Learning Center and the Never Streaming program. As stated in Factual Finding 17, Student was making progress at the Learning Center, but not sufficient to warrant progressing to the third grade, he could benefit from another year of service and an intensive phonemic awareness program. According to his second grade teacher, Student was in the bottom of his class. Based upon Student’s continued academic deficits and the District’s failure to properly assess his needs at the June 2006 IEP meeting, Student is entitled to an award of compensatory education. The ALJ finds that Student requires intensive remediation to remediate the lost educational opportunity by the District’s failure to find him eligible for special education services since June 29, 2006, to the present time. The ALJ further finds that the LMB program would provide the needed remediation. 6. When a LEA fails to provide FAPE to a student with a disability, the student is entitled to relief that is “appropriate” in light of the purposes of the IDEA. (School Committee of Burlington v. Department of Education (1996) 471 U.S. 359, 369-371; 20 U.S.C. § 1415(i)(2)(C)(3).) Based on the principle set forth in Burlington , federal courts have held that compensatory education is a form of equitable relief that may be granted for the denial of appropriate special education services to help overcome lost educational opportunity. (Student W. v. Puyallup Sch. Dist. (9th Cir. 1994) 31 F.3d 1489, 1496.) The right to compensatory education accrues when the district knows, or should know, that student is receiving an inappropriate education. Compensatory education does not, however, necessarily involve an obligation to provide day-for-day or session-for-session replacement for opportunity or time missed. (Id . at p. 1497). The purpose of compensatory education is to “ensure that the student is appropriately educated within the meaning of IDEA.” (Ibid .) Both reimbursement and compensatory education issues are equitable issues requiring a balancing of the behaviors of the parties. I. The District failed to assess Student in September 2004. 1. As stated in Factual Findings 2 to 5 and Legal Conclusions 4 and 7 to 9, the District was obligated to assess Student once Parents requested an evaluation in writing. Parents requested an evaluation for special education on September 24, 2004 and the District did not provide an assessment plan or conduct an assessment. However, as stated in Factual Findings, 2 to 5 and 28, Student was too young to properly evaluate him for SLD and the District did not deny him a FAPE from October 2004 to June 2006. Accordingly, the procedural violation was harmless in light of the other evidence in the case. II. The District failed to initiate an assessment within the statutory time frame after the parental request for assessment in March 2006. 2. As stated in Factual Findings 6 to 11 and Legal Conclusions 4 and 7 to 9, the District did not initiate an assessment of Student within 15 days of the Mother’s request for assessment. However, the procedural error was harmless considering the District ultimately provided an assessment plan and assessed Student for special education within the statutory time frame and held an IEP meeting on June 29, 2006, to discuss the assessments. III. Student is entitled to reimbursement for the cost of the independent educational assessment conducted by Dr. Maria Moleski in summer 2006. 3. As stated in Factual Findings 12 to 28 and Legal Conclusions 4, 5 and 13 to 15, the District’s assessment of Student was not sufficient since the District’s WJ-III assessment was not valid. Student obtained a private assessment from Dr. Moleski who thoroughly evaluated Student and found him to have a SLD. Parents paid $2850 for the evaluation. Even though Parents did not provide notice to the District that they were seeking an independent evaluation, based upon the inappropriate evaluation by the District, Student’s continued poor academic performance, the inability of the District to remediate his deficits in the general education setting, and the thorough, comprehensive and credible evaluation by Dr. Moleski, Parents are entitled to reimbursement for the cost of the evaluation. IV . Parents are not entitled to reimbursement for the cost of an OT evaluation. 4. As stated in Factual Findings 38 to 42 and Legal Conclusion 6, Parents are not entitled to reimbursement for the cost of an OT evaluation and are not otherwise entitled to an independent OT evaluation. V . Did the District deny Student a free appropriate public education (FAPE) from October 18, 2004, through October 18, 2006, by failing to make Student eligible for special education placement and services in the areas of specific learning disability (SLD), other health impaired (OHI) as attention deficit hyperactivity disorder (ADHD), or speech and language (SL) impaired, and by failing to provide Student with an individual education program (IEP) with appropriate levels of placement and services to meet his unique needs? 5. As stated in Factual Findings 2 to 5 and 28, and Legal Conclusions 4, 5, and 13 to 15, the District did not deny Student a FAPE from October 2004 to June 29, 2006. The District did not assess Student as required but Student had barely entered kindergarten when the first request for special education assessment was received. Student had not yet had enough time in an educational environment to see if his deficits could be remediated within general education. Dr. Moleski agreed that she could not tell if Student would have been eligible for special education as SLD in September 2004 because he needed to know his letters before SLD could be evaluated. However, as stated in Factual Findings 27 and 28, the evidence established that Student was eligible for special education services at the June 29, 2006 IEP meeting. The District denied Student a FAPE from June 29, 2006, to the present time by failing to find him eligible for special education services under the category of SLD. 6. As stated in Factual Finding 28, Student is eligible for special education services in the category of SLD. As stated in Factual Findings 2 to 4 and 43 to 45, and Legal Conclusion 6, Student continues to have academic needs that have not been remediated in the general education setting and continue to prevent Student from accessing his educational curriculum. LMB has two programs that can help address Student’s needs and is necessary for Student to receive educational benefit at school and also to compensate Student for lost educational opportunity by the District’s failure to properly assess and find him eligible for special education services from June 29, 2006, to the present time. Accordingly, Student is entitled to the LMB program as compensatory education. As stated in Legal Conclusion 6, compensatory education and reimbursement are equitable remedies that should consider the conduct of the parties and lost educational opportunity. The LMB program was recommended for 160 to 240 hours, but Student received some educational benefit from the Never Streaming program at the Learning Center, which mitigated the amount of lost educational opportunity. Accordingly, Student is entitled to 160 hours in the LMB program. In addition, Parents are entitled to reimbursement for the cost of the LMB evaluation since the expense was incurred as a result of the District’s failure to properly assess Student and to properly determine his educational needs and lost educational opportunity. 7. As stated in Factual Findings 35 to 37 and Legal Conclusions 5 and 11 to 12, Student is not eligible for special education services in the category of OHI as ADHD. 8. As stated in Factual Findings 29 to 34 and Legal Conclusions 5 and 16 to 17, Student is not eligible for special education services in the category of SL impaired. 1. The District shall hold an IEP meeting within 30 days of this order and provide Student a special education program consistent with this Decision finding Student eligible for special education services under the category of SLD. 2. Within 45 days of the date of this Order, the District shall provide payment to Student’s Parents in the amount of $3,275, which is the combined amount of Dr. Moleski’s evaluation ($2,850) and the LMB assessment ($425). 3. Within 30 days of the date of this Order, the District shall contract with LMB to provide Student with 160 hours of the Seeing Stars and Visualizing and Verbalizing programs at the LMB facility in Sacramento. The District shall coordinate the attendance at the program with Parents. The District shall incur the cost of transportation to and from the program. Education Code section 56507, subdivision (d), requires that the hearing decision indicate the extent to which each party has prevailed on each issue heard and decided. The Student prevailed on Issues One, Two, and Three, and Student prevailed on the most significant issue litigated in Issue Five. The District prevailed on Issue Four and partially on Issue Five.